Fast Window Cleaning London is a company that puts great emphasis on customers. This means that when you contact us on 020 3322 8261, you can share the details of the cleaning job and we will work on a specialised solution for your needs. 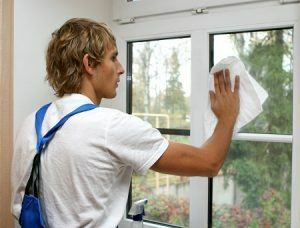 Whether you want us the clean the windows of your home or you need your office building window cleaned, we can arrange it. Our company is ready to tailor a window cleaning service that matches your expectations and requirements. We know that to be the best policy and we are always focused on improving it even further. So how can you hire us? Our company has taken steps to simplify the booking process as much as possible. We will be very quick to respond to any enquiry you make and will certainly not keep you waiting for days. In fact, you can finalise a booking immediately when you call 020 3322 8261. Once you arrange the details of the job and the time you want us to perform the window cleaning in Balham, you will realise how easy we are to book. When you place your bet on the cleaning service of Fast Window Cleaning London, you can be sure that the job will be completed to the highest standard. Part of South London is occupied by the neighbourhood of Balham. The district is entirely within the London Borough of Wandsworth. In Old English, the name of the district refers to ‘rounded enclosure’ (Bal) and Homestead, river or village enclosure (Ham). The area encompasses the A24 situated north of Tooting Bec and all roads that radiate off. It is covered by the SW12 postcode, which also includes Clapham South and the area of Hyde Farm. The area features the largest block of flats on the continent meant for private occupation and not social housing. One of the most notable pubs in the area is the Bedford, located on Bedford Hill. Performers here have included Al Murray, Harry Hill, Catherine Tate, Stephen K Amos and more. Balham was the district to test the first intelligent pedestrian crossings, trialled near Balham Station and Tooting Bec. Get in touch with our expert cleaning company today over the phone by dialling 020 3322 8261. Alternatively, you can complete our online contact form in order to get more information about our window cleaning in Balham.